2012, according to the Chinese calendar, is the Year of the Dragon. In Chinese tradition, each year is dedicated to a specific animal and predictions for 2012 are for a dragon-like year of excitement, unpredictability, exhilaration, and intensity. Smashburger – By most accounts, 2011 was the year the “better burger” category went mainstream. 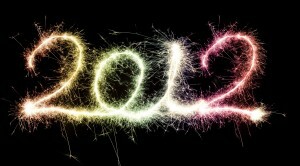 I predict 2012 will be the year that separates the category men from the boys. But don’t take my word that Smashburger is a brand to watch — Forbes Magazine recently named the chain “America’s Most Promising Company.” To make the list, Smashburger had to pass muster as a privately held up-and-comer with a compelling business model, strong management team, notable customers, strategic partners and precious investment capital. The Forbes write-up reported on key differentiators such as the chain’s “blend of thoughtful product design and deft execution” and great service. What makes Smashburger particularly interesting to me is its unconventional company culture. At the 15th Annual UCLA Extension Restaurant Industry Conference, CEO Dave Prokupek explained he’s modeling his culture after Google’s and Netflix’s and hiring half of his employees from outside the restaurant industry (read more in my Brand New Perspectives column in QSR Magazine). The concept seems to be firing on all cylinders – 2012 will reveal whether it has the right ammunition to take down some of its formidable competitors. JC Penney – Will Ron Johnson’s gamble on JC Penney be a boom or bust? We’ll get a good idea in 2012. The former head of Apple retail has put all his chips in on the department store chain. He’s recruited key people from Apple and Target, where he fueled that chain’s design strategy by bringing in a line of household items designed by Michael Graves. And he’s already signed a deal with Martha Stewart to create an e-commerce site for cross-licensed products and develop shop-within-a-shop retail spaces. Building a stronger brand portfolio is only one aspect of Johnson’s efforts to “transform JC Penney into America’s Favorite Store.” Other planned moves include restructuring its home merchandise-dominated online business, instituting a new pricing strategy, and focusing on the 18 to 35-year-old market. Such comments not only reveal clues to how Johnson plans to jumpstart JC Penney in 2012 but also how other retailers might revive their own businesses in the coming year. Chipotle – Chipotle appears on my list of brands to watch for the second year in a row because it continues to grow, innovate, and set the standard for the QSR industry. Chipotle’s innovation has come in the form of a new concept, ShopHouse Southeast Asian Kitchen, which opened in the D.C. area this past fall. With recipes inspired by the cuisines of Thailand, Vietnam, Malaysia, and Singapore in a store modeled after fast food kitchens in Asia, ShopHouse is billed as serving “delicious, stylish, natural, nutritious, and affordable” food “lightening-quick.” No expansion plans have been announced, but we’re sure to see another location (or two or five) pop up in 2012. And, in regards to setting QSR standards, Chipotle Co-CEO and founder Steve Ells has been on a crusade to make fast food good and good for you. As an investor-judge on the America’s Next Great Restaurant reality TV show earlier this year, Ells declared, “Just because it’s fast doesn’t mean it has to be a typical fast-food experience.” As a strong advocate of “natural” food, Ells urged Congress just last month to curb the overuse of antibiotics in meat production. And after a government crackdown earlier this year found the chain had hired hundreds of illegal workers, it has become an unlikely champion of immigration overhaul. Chipotle may reach its peak in 2012, but I expect it will be quite a summit. Bluetooth and ANT+ – Wireless will take a huge leap forward in 2012, thanks to Bluetooth v4.0 (aka Bluetooth Smart Ready) and ANT+. These lightweight, low-power technologies are going to revolutionize wireless devices and applications, particularly in digital health and fitness. Digital health and fitness is a trend to watch on its own. It’s the fastest growing segment of the consumer electronics industry, and if the buzz leading up to the Consumer Electronics Show next week is any indication, technology innovations in healthcare and fitness are going to steal the show. Now with new wireless capabilities, digital health and fitness is crossing into the mainstream market: Wireless sensor data streaming enhances people’s activity-tracking – everything from how many calories you burn to how well you sleep each night — and assists in the real-time monitoring of personal medical statuses and record keeping, the need for which increases as health problems like diabetes and obesity grow. The ANT+ technology has been around for over 10 years and its alliance members include prominent brands like Garmin and adidas. Bluetooth, with a Special Interest Group of 14,000 members, just launched v4.0. In 2012 according to IMS Research, over 35% of smartphones will be shipped with dual-mode Bluetooth low energy, and over 10 million ANT+ enabled phones will be shipped. There’s a lot of debate as to which technology will prevail – Bluetooth or ANT+ — but with the market growing as quickly as it is, both are sure to be winners in 2012.